For historical Annual Reports, please click here to visit our Corporate Archives. Disclaimer: The presentations, reports and/or filings of Motorola Solutions found on these web pages contain time-sensitive information. The information contained therein is only accurate as of the date thereof. Motorola Solutions will not be reviewing or updating the material that is contained in these items after the date thereof. 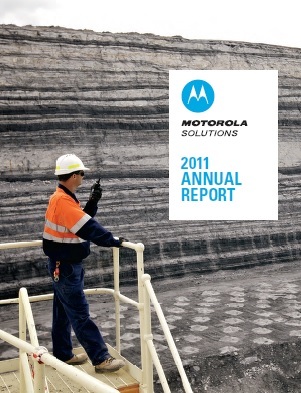 The information contained therein may be updated, amended, supplemented or otherwise altered by subsequent presentations, reports and/or filings by Motorola Solutions.